Is Santa making an appearance at your next party? Dazzle your guests and fill your little ones with wonder with Santa's Premium Throne Brown Leather - a chair fit for a king! 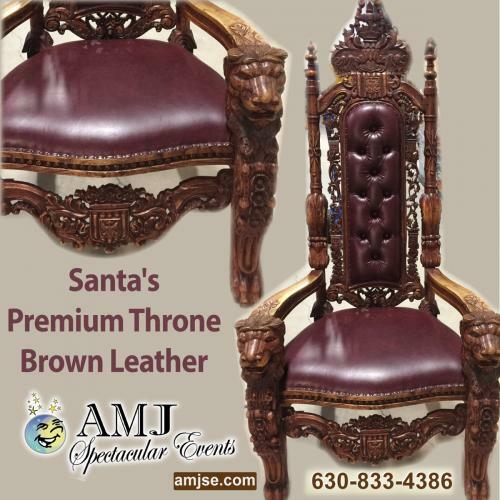 Telling Santa about their holiday wishes will be even more magical with this beautiful wooden and Brown Leather Santa Throne. Whether you are using it as a photo prop, a holiday party decoration, or for the jolly man himself, our Santa's Royal Throne is the perfect addition to your next holiday gathering.